Free Shipping Included! 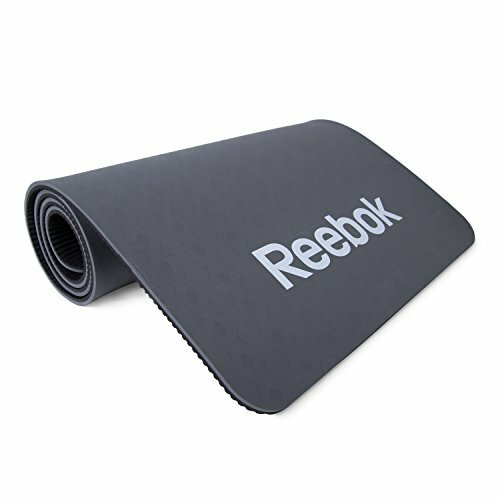 Reebok Pilates Mat, Dark Gray by Reebok at Cardio Fitness Plus. MPN: HHY-RE027DG. Hurry! Limited time offer. Offer valid only while supplies last. The Reebok Pilates mat provides an extra-thick plush surface for Pilates class members, designed to be durable and long-lasting for extensive use. The Reebok Pilates mat provides an extra-thick plush surface for Pilates class members, designed to be durable and long-lasting for extensive use. Formed from a single piece of 15mm thick foam, the mat retains its consistency when compressed, making it ideal for all types of Pilates exercises and routines. The integrated eyelets allow simple and fast storage on a Reebok mat rack (sold separately), to keep 30 mats neat and tidy, ready for the next class.